I don’t think the army look has been this hot since Cady Heron wore army pants and flip flops. The military look has been around in many guises but shiny buttons and military details are no match for the nonchalant chic of an oversized army print or khaki coat. 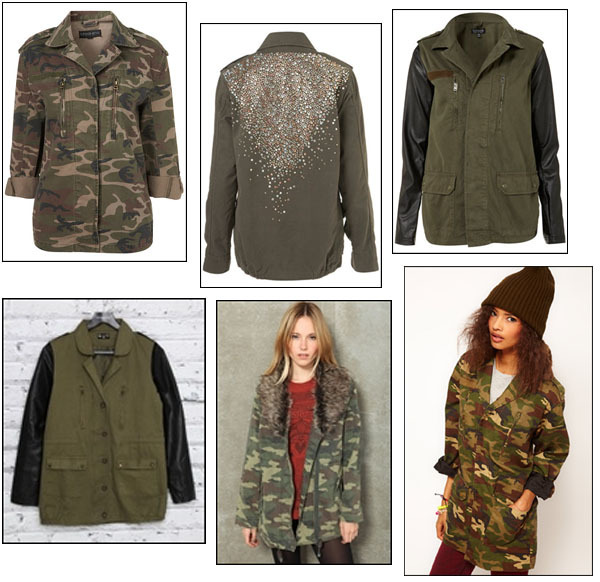 Perfect for a Sunday morning coffee run paired with flat boots and a beanie or slung over a dress and heels before heading out for dinner or drinks, it seems like an army jacket is the missing piece in my wardrobe. Here are my top picks from the high street. I’m particularly taken with the leather sleeves jackets for a luxe feel. What’s your favourite?